File Photo: A pedestrian walks along Eighth Street at Filbert Street in Center City as snow falls on Friday, Dec. 15, 2017. A light snow is expected Monday night into Tuesday morning. 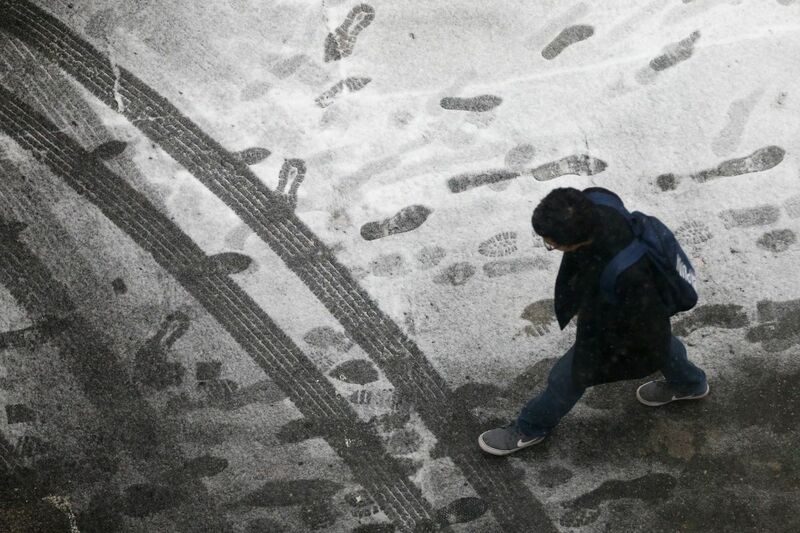 Snow is expected to fall on the Philadelphia region Monday night into Tuesday Morning. There is little accumulation in the current forecast. The forecast for Monday calls for cloudy skies with a high near 47. Precipitation in the form of rain is in the forecast for Thursday followed by a chance of snow before 1 p.m. Friday.